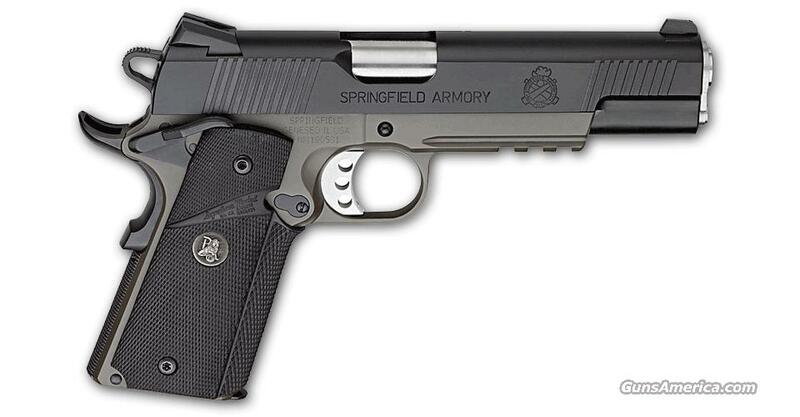 The Springfield Armory® operator pistol was the first pistol offered by a major 1911 manufacturer having a light-mounting rail forged directly into the frame. While others have followed our lead, we still offer the most comprehensive line of 1911 light-rail guns available. The Standard Picatinny mounting platform readily accepts the most popular whitelight and laser illumination devices used by military spec-ops and law enforcement tactical teams. These fully-capable extreme-duty firearms are truly the best of the best. Weight w/Empty Magazine: 42 ozs. Shipping just $35 to the lower 48, all prices listed reflect a 3% cash discount which is not available when paying with credit card. We do not accept personal checks and no longer offer lay-a-way simply because we want to process your order and ship immediately.